You’ve recycled your usual recipes for lunch and dinner and are on the hunt for something new and exciting. Your oven or hob might be the gateway to classic dinnertimes, but a microwave is not just for when you’re in a hurry. Cooking in your microwave is a great way to explore a whole host of recipes and add to your kitchen at the same time! Here at Beko we have worked hard for the last 26 years in the UK to bring you helpful home appliances you’ll love. And because we are the official partner of the everyday, we wanted to bring you even more appliances for your home to help make those everyday moments even easier and more enjoyable. Our new small appliances range does exactly that. Packed with features that make cooking all sorts of interesting meals fun and easy, our new range of microwaves is the perfect addition to your household. With a variety of freestanding and built-in models to choose from, you can select a microwave with a 20L and 23L capacity to suit your needs and kitchen design. 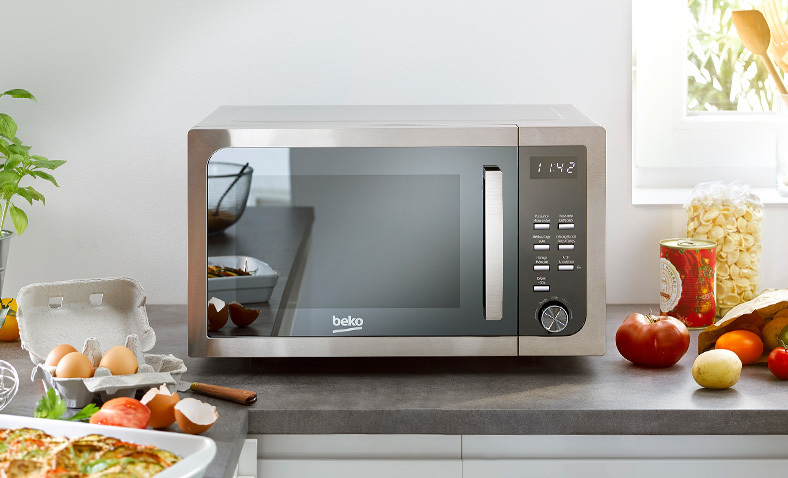 They even have the same control dials as the appliances in our large appliances range, so if you have a Beko oven or cooker and want to coordinate your kitchen appliances in the Beko design, our microwaves are made to match. Not only does a microwave make it easier to cook things quickly, you can use it in tandem with your oven or hob, or make meals from scratch. Defrost meat with one of the auto-programmes the defrost setting offers while you roast some vegetables in your oven. With digital display and grill units, you could even grill food in your microwave quickly and hygienically. Not sure where to begin? See the creations below for more inspiration for breakfast, lunch, dinner, or a film-side snack. We're always told that breakfast is the most important meal of the day but sometimes you just need those extra 10 minutes in bed. 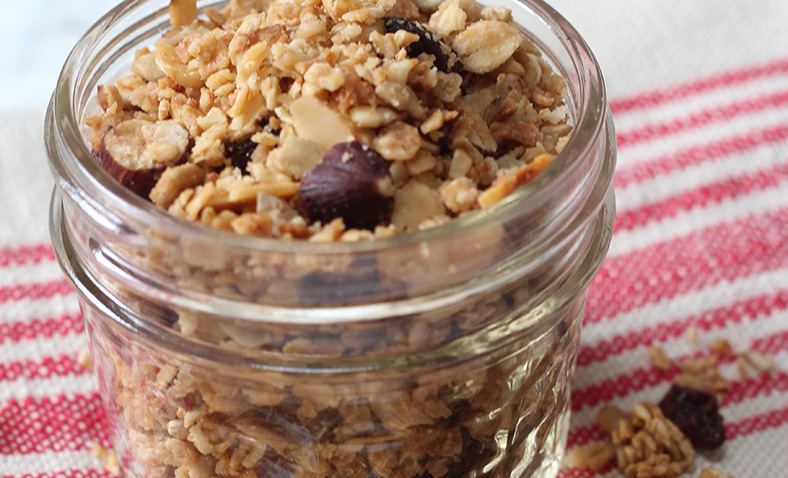 Luckily for rumbling tummies everywhere, this microwavable granola recipe by Ciara from My Fussy Eater can be whipped up in less than 5 minutes! Looking for a burst of protein but don’t fancy standing over a hot stove? 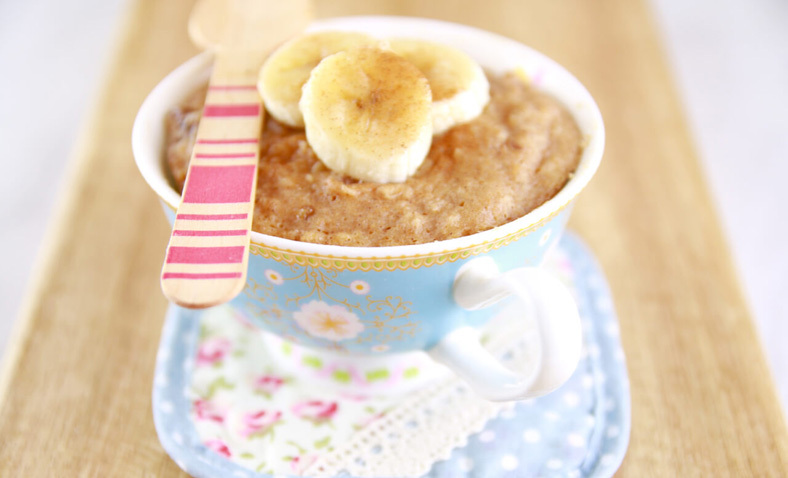 This peanut butter & banana mug cake created by Chef Gemma Stafford from Bigger Bolder Baking is tasty and easy to make without losing any crucial moisture. And this perfectly sized portion will fill you up without leaving you overly full. 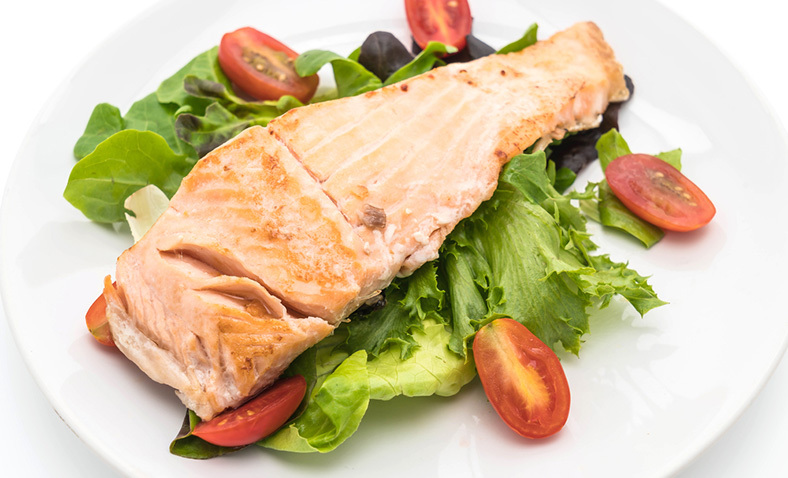 For a convenient but sumptuous lunchtime dish, this microwavable salmon recipe from Savory Sweet Life can be cooked and on your plate within 5 minutes for a single, flaky portion. You can even choose what to top it with depending on your palette; choose from parsley, lemon, or even mayonnaise. You’ve picked the film, your duvet is on the sofa waiting for you, and now it’s just a case of rustling up some snacks. Trying to be good? 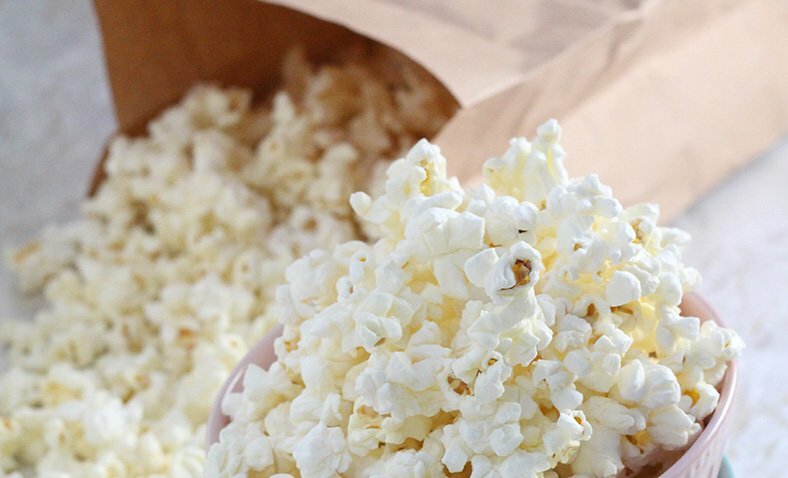 This popcorn in a brown bag recipe is super easy to make and only takes 5 minutes. Just add salt, sugar, or pepper for your toppings. It’s also healthy, cost-effective to make and there’s no burning the pan or oil splatters, so there’s no mess. It’s a win-win! A risotto is the perfect dish to cook if you’re entertaining friends but it can be rather time consuming when cooking on a hob. 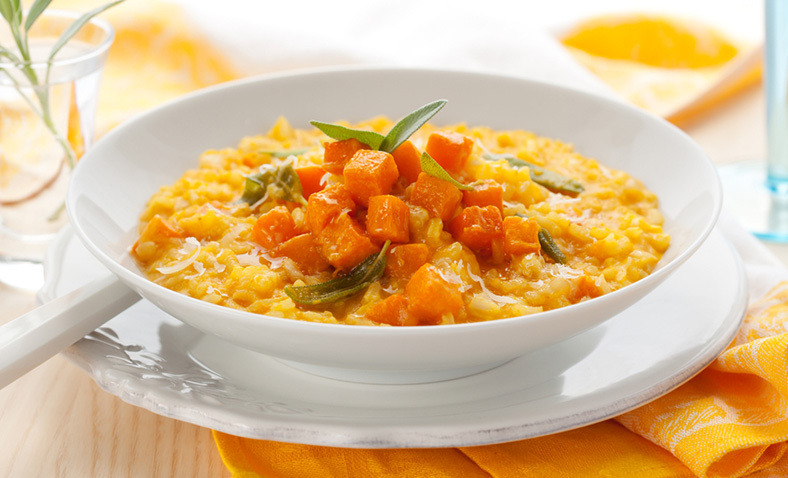 So, this butternut squash risotto can be cooked in a microwave so that you can have more time looking forward to your dinner party than planning for it. There’s more to a microwave than just heating up a ready meal when you’re hungry or when you’re racing against the clock. With our new microwave range, you’ll be able to add to your kitchen whilst keeping the design consistent but also create some tasty and quick dishes for you to enjoy.